Not so long ago the first sign of winters end saw the almond trees in flower, now spring is well and truly underway looking at the magnificent yellow and purple tapestry covering. 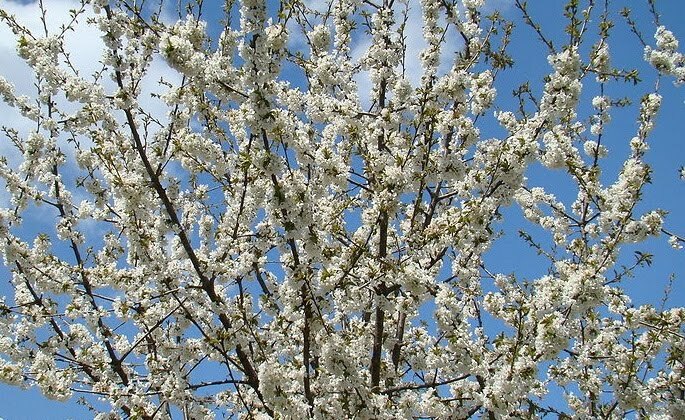 It´s now the reign of the cherry blossom from delicate whites to crimson pinks to adorn the countryside. This is without a doubt my favourite time of year, within about a week the vines go from no sign of life to uncurling leaf buds, everything shoots, grows and flowers like a jump for joy. Cherry blossom is a sign of the red harvest to come and many areas have a cherry festival. 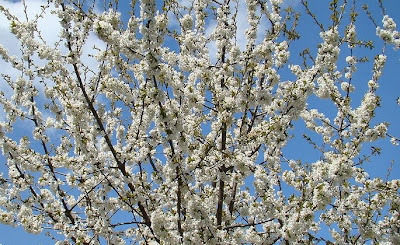 In the north of Spain the river Jerte flows in the Sierra de Gredos and they hold la Fiesta del Cerezo en Flor an this year, 2011, they are organising the III Marcha Senderista del Cerezo en Flor, a walk for the flowering cherry. My neighbouring town, Castillo de Locubin also hold a cherry festival at harvest time, I´ll post the date when I find out.